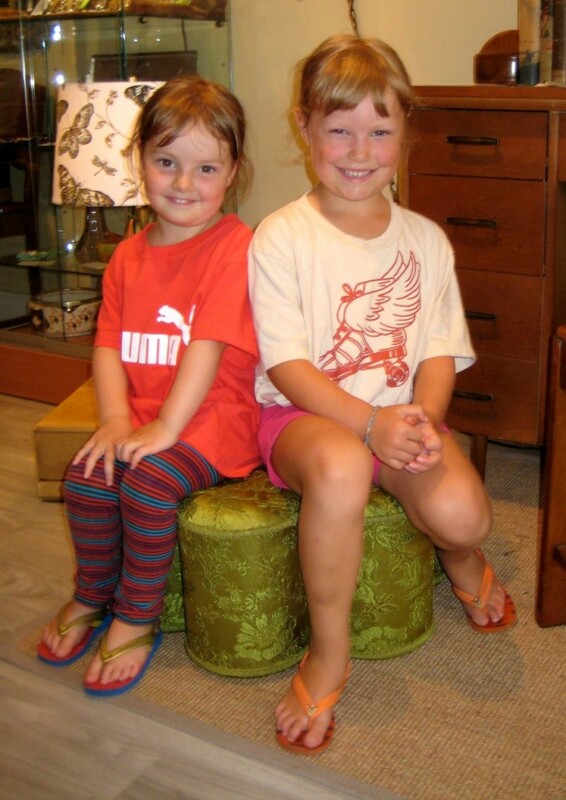 Miss Ruby and Miss Etta sat on a tuffet! Two delightful young friends in for a visit and a chat this Saturday morning. See you next summer, girls! Miss Ruby and Miss Etta – priceless! Thanks to Mum and Dad for allowing us to share this photo!